In 1685, Rajaram, a Jat zamindar at Sisini eight kilometers west of Agra strengthened fortress of hardened mud. Shileded by difficult terrain and bomboo/scrub forests these forts could beat off all but the most determined assaults. Already refusing to pay the revenue , Rajaram led his Jat clansmen to plunder traffic on Royal road. They even attempted to enter Sikandra to despoil Akbar’s tomb, but were driven back by the faujdar. 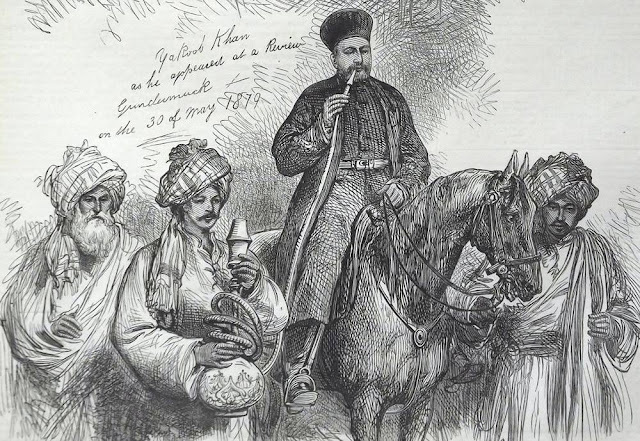 Soon the overland route to Deccan was virtually closed. Even great nobles traveling with their entourages were not safe. In 1686, a Turani amir, Aghar Khan , who was marching from Kabul to Bijapur with his troops and household , tried to pursue the Jats who had plundered his baggage train. Outside the Jat fort he was killed along with his son-in-law and eighty of his followers. In the late 1687 , Aurangzeb sent Bidar Bakht , his young grandson , north with troops to suppress the Jats. In the interim the newly appointed governor of the Punjab, Mahabat Khan, a former Hyderabad officer, had encamped near Sikandra on the Yamuna river. The Jats boldly attacked his camp in force and only retired after losing four hundred casualties. The desecration of tomb was the greatest affront possible to the house and linage of Timur. After this incident Rajaram , the Jat leader , was killed by Mughal musketeer in a subsequent clash , but the Jat stronghold at Sinsini was untouched. Aurangzeb responded to these events by commissioning the young Raja Bishun Singh Kachhwaha of Amber (Jaipur) as faujdar of Mathura and as jagirdar of Sinsai , the Jat stronghold. The new commander and his Rajput troops marched directly to the Jat stronghold and besieged it. After a four months siege, the Mughal troops laid a mine successfully , opened a breach and stormed the small fort. Fifteen hundreds Jats defenders died. Another small fortress at Sogar fell to the Mughals. By January 1691, the Jat revolt around Agra was suppressed.